Berryburst and Berryburst Max represent the first double release from Netent, after having been launched in August of 2018. While the focus of this review is on the Berryburst version, Berryburst Max has very similar features, appearance and feel but with a higher volatility and potential payout. This juicy, fruit-themed 5-reel cluster-pays slot offers a top payout of 3,000x bet. Whether you are interested in Berryburst or Berryburst Max, both slot games have an identical appearance including fruit symbols suspended in a delicious fruit juice. You can see pockets of air rising to the surface for extra effect. There are several classic fruits that are included amongst the classic symbols: raspberry, orange wedge, blueberries, and a half lime. There are three lower paying symbols that include card suit hearts, spades, and diamonds. Collectively the slot has a bold and colourful appearance and since Netent believes that sound is an important part of their games the snappy tune accompanying the slot was even made available for players to listen to on Spotify. After any standard spin it is possible for a wild to land on any of the reels to substitute for any other symbol. In this scenario the wild expands to cover the entire reel where any and all wins are then calculated. When this is complete the wild symbol is then held sticky for a free re-spin. Any new wilds that appear on the reels will expand in the same way and all new wins if any will be calculated prior to an additional free re-spin with the new expanded wild held sticky. This can continue provided that at least another wild appears on a re-spin and should you land five expanded wilds on all five reels then you automatically qualify for 5,000 coins. Another interesting feature of this slot is that wins are calculated according to cluster-pays and not conventional paylines. In order to win you simply need to land five or more identical symbols horizontally or vertically adjacent to one another. Berryburst slot has a RTP of 96.56% and you can play the game with as little as €0.10 and as much as €100 per round. Variance for this game is low to medium and you will find that you can play the game on mobile, tablet or pc. Take it with you using your Android or iOS device. 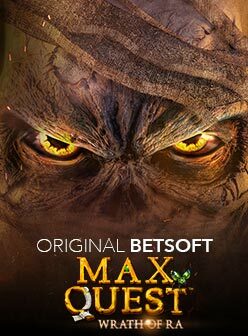 If your flavour is higher volatility slots then we suggest you play Berryburst Max offering a chance to win greater coin values of up to 6,000x bet. 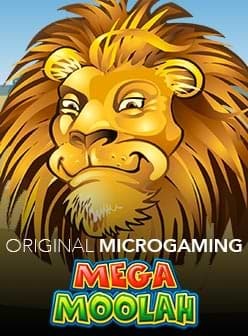 To help you get started we've included links to our recommended casinos and invite you to take a look at the game for yourself.